Artificial intelligence is pegged as the tool of the future, so it's only fitting that two Calgary students, the future generation, are organizing a conference on the technology. 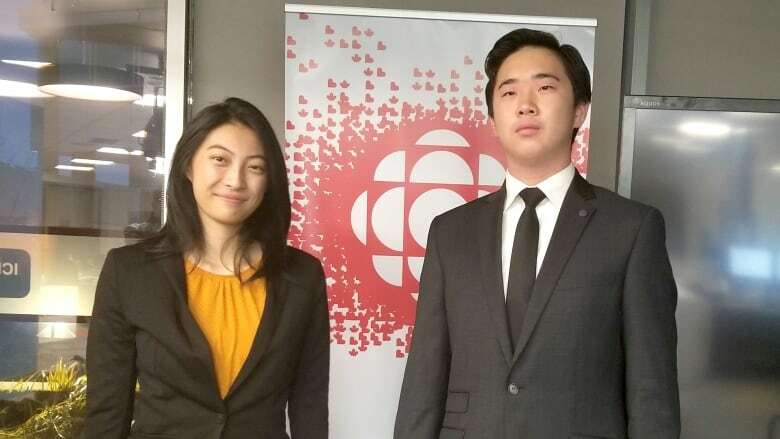 Grade 11 students Claire Du and Gerry Lu organized an event they're calling the AI4Youth Canada Conference. It took a lot of cold calls, bottle drive cash and organizing, but the event is set to go ahead on Sunday and is already picking up interest with more than 200 people expected to attend. "AI is going to be changing our lives as the next generation," said Du. "So, it's going to be very useful in the future for us to change AI as well." Polling their fellow students at schools, they found most teens didn't know what kind of artificial intelligence technology they encounter on a daily basis. So they wanted not just to demystify the sector for high school students, but provide the resources to learn more. The conference will have lots of industry experts on hand, including Patrick Wang, a professor of computer and information science at Northeastern University. After the event, there will be a tour of the University of Calgary. "We want high school students to have a hands-on experience," Du said. "My personal hope is to take away some inspiration and maybe some motivation to change the world." Lu said his interest in technology started when he was young. He used to mash up the features on his toys to create new tech. Then, in 2017, he joined a robotics program, For Inspiration and Recognition of Science and Technology (FIRST). That's where he sparked a love for the hardware and software side of technology. Du was involved in the same program — she started in Grade 6 — and last year, as part of a youth science fair, she took home a prize for one of her inventions. "I made a carpet-lifting machine," she said, explaining that her contraption can lift 100-kilogram carpets that measure four by 16 metres. "It was to help my gymnastics club. Lifting these really heavy carpets every day before and after training was really tiring. So I wanted to help out my club." Both students say they have a lot left to learn in high school but are excited to learn more about AI and other emerging technology in university.